Our founder, David Langhammer, supported his family by selling gold chains out of the trunk of his car. He spent countless hours driving his 'Distribution Center' throughout the Midwest to call on his customers. David took extreme pride in taking care of each and every one of his customers. However, this admirable practice quickly generated a good news, bad news scenario. His customer base increased, but he outgrew his ‘Distribution Center’ and couldn't find a car with a bigger trunk. He was forced to change his business model. In 1979, David started Quality Gold and developed a comprehensive product catalog. He learned quickly that these catalogs could cover a lot more ground than his car. Once again--good news, bad news. As the business grew, so did the need for quality inventory. So in the mid-1980's, the challenge of supplying customers with inventory led to the establishment of Quality Gold Manufacturing. This move allowed the company to manufacture high quality, value-priced products to feature in catalogs and feed the inventory pipeline. During the 1990's, the next step was to shift our focus to a national level. We developed a state-of-the-art, systematic process which allowed us to ship large volumes of orders on a daily basis. We have shipped well over 60,000 items in a single day and have yet to max out our distribution systems. David passed away in 2005, but he left behind a legacy and vision: If we can stock it or make it and ship it to our customers the same day they order it, they can maintain lower inventory levels AND offer a wider selection of products to their customers. Quality Gold, Inc. is a worldwide company founded in 1979 and headquartered in Fairfield, Ohio with operations in Fairfield Ohio, Toronto, Canada, Arezzo, Italy and Mumbai, India. Actively serving more than 23,000 retailers across the United States, its territories and within Canada, Quality Gold offers more than 200,000 jewelry & gift products available to ship same day and more than 100,000 items available special order for sale to retailers. 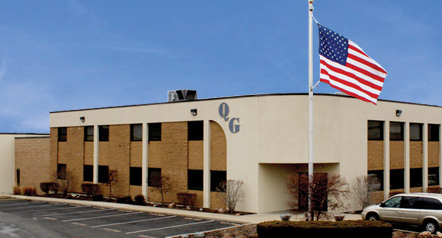 Quality Gold has built its business on the company’s commitment to provide the largest selection of products, the best service, and the best value to its customers. Throughout our various channels, we provide customers with the tools needed to compete in today’s economic climate. (Check out this cool Scrap Calculator). We are constantly expanding our extensive product line to offer our customers the widest selection of quality products at competitive prices. We encourage you to search our website for the latest collections and product assortments.